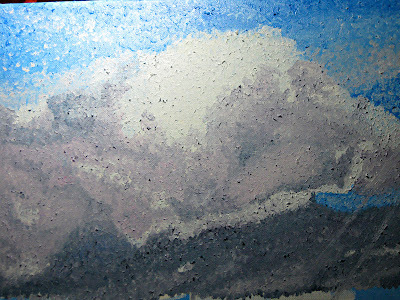 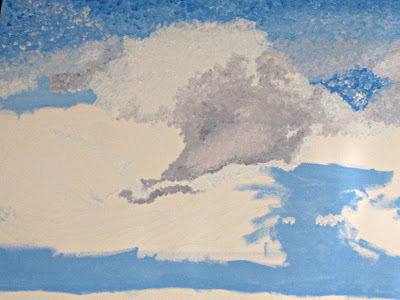 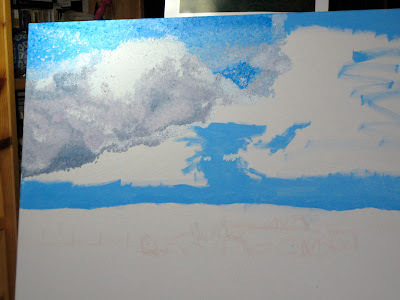 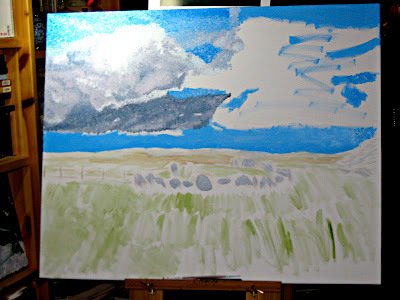 I've started a new painting and thought I'd document it. 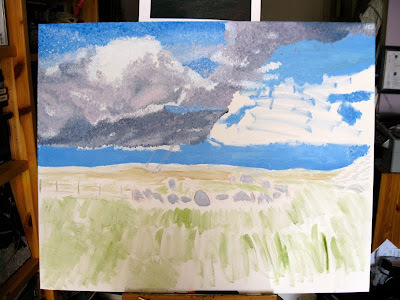 I can get off course because I'm painting in my apartment, which is tiny and when I have to take down the easel and put away the paints so I can have people over it takes a herculean effort to get me to put it all back up again. 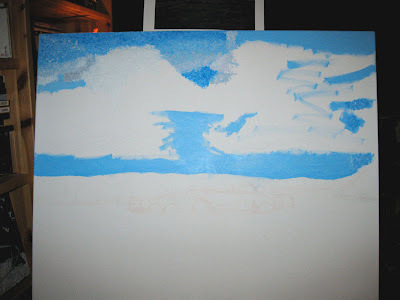 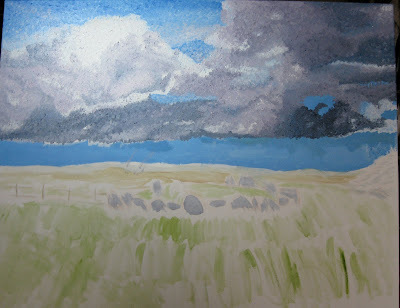 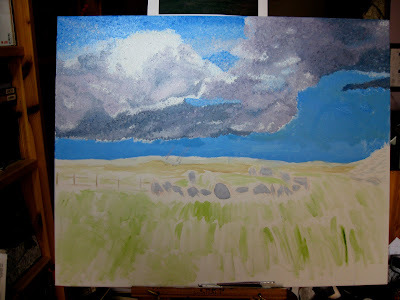 I'm hoping this blog will force me to start painting daily like I did 4 years ago. 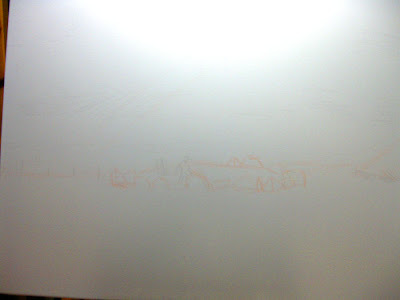 I have a whole series to finish. 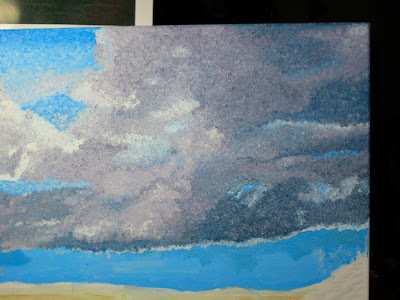 This is painting #7 in the series. 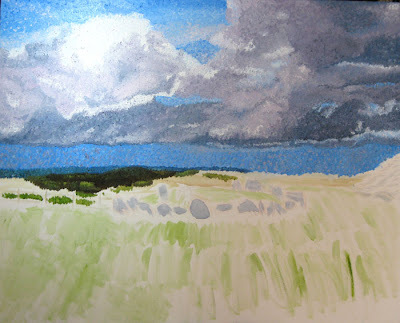 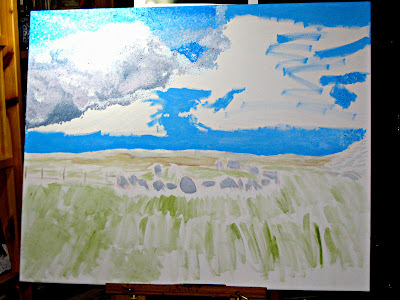 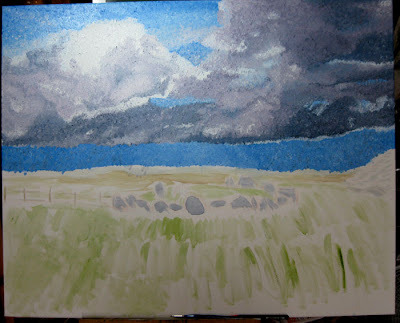 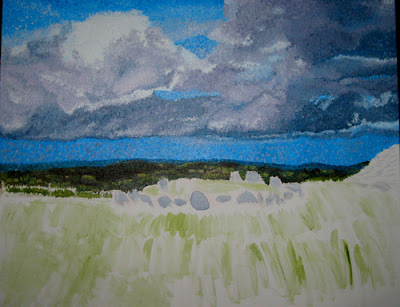 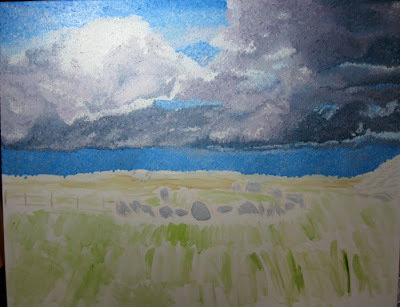 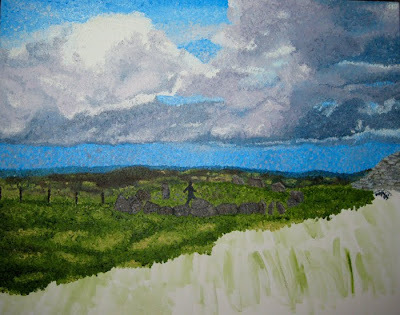 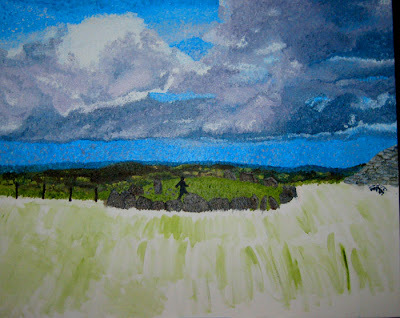 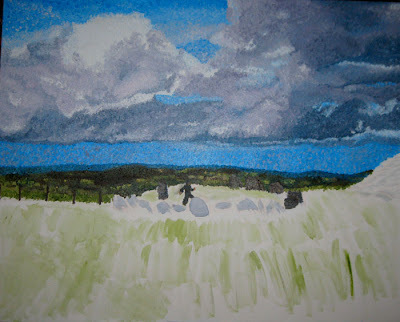 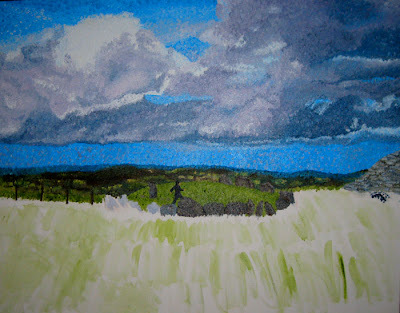 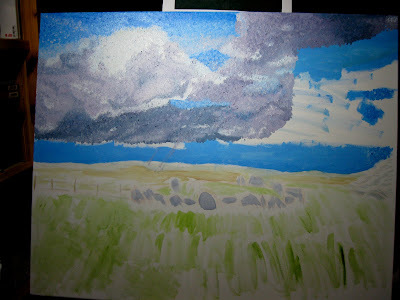 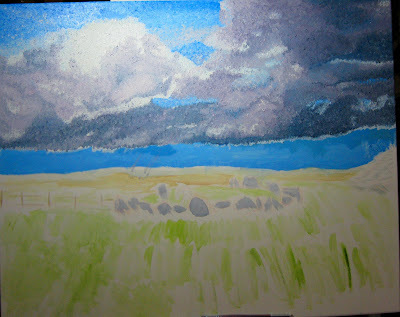 I'm working from a picture I took on top of the hill at Loughcrew in Co. Meath Ireland.